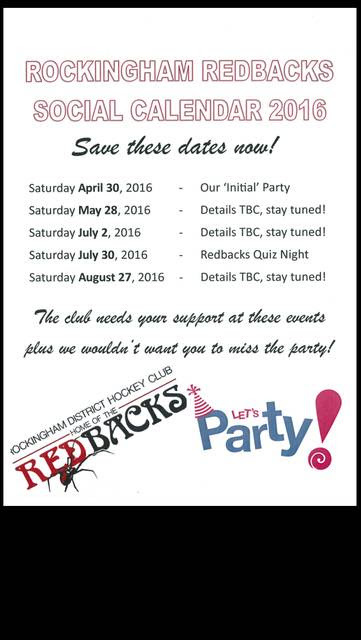 Now that the season has started it is time to start having some fun as a Redback family. Please save these dates in your calendar and get along to the social functions the club organises for you, our members. If you have SOME GREAT IDEAS we would love you to join the social committee.